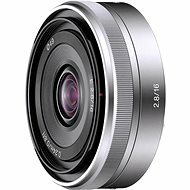 The SONY SAL-20M28 is a compact, prime, wide-angle lens and due to its focal length of 20mm is suitable particularly for large sceneries. It will find its applications when shooting long, endless beaches and cliffs. 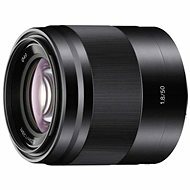 With its maximum magnification of 0.12x at the minimum focus distance of 20cm, the lens offers extremely clear, life-sized details. The fixed focal length guarantees high-quality optical performance, low weight and portability. 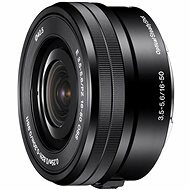 You can focus or defocus images easily due to the focus ring on the lens body. 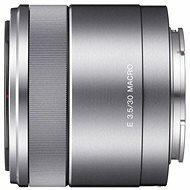 It is a fast lens with a maximum aperture of F/2.8 and is equipped with seven rounded diaphragm blades. The filter has a diameter of 49mm. The package also contains a lens case. 69 g (69 g) Done! 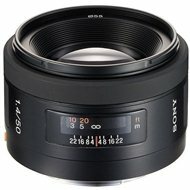 For shipping to other EU countries visit this page Sony Sony 20mm F/2.8. Chcete doručit zboží do Česka? Prohlédněte si Sony 20mm f/2.8. Chcete doručiť tovar na Slovensko? Prezrite si Sony 20 mm F2.8. 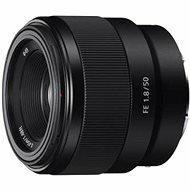 Magyarországra történő kiszállításért tekintse meg ezt a termékoldalt: Sony 20mm F2.8.